Last week university management announced plans to outsource 235 campus jobs. Workers and students are meeting to discuss their response. The jobs facing privatisation include catering, porters and security staff. One affected staff member who didn't want to be named commented that "if we all called in sick tomorrow, the university would shut down", adding "we need to talk about how to stop this [outsourcing] happening." Academics union UCU, whose members are not directly affected has said that "privatisation of campus services is an issue that affects every member of staff here, we cannot afford to ignore it." If the plans go ahead, staff will have their terms and conditions transferred over to their new employers under 'TUPE' laws. However, the history of outsourcing suggests this offers limited protection, as new hires are brought in on inferior terms and the workforce is divided. There are also fears that long-serving university staff will be moved out of the university pension scheme. University Registrar and Secretary John Duffy announced that "we are now looking to work with specialist external organisations to manage our estate and facilities and to provide our catering and conferencing services." He added "we are not proposing to make redundancies." However, staff may have good reasons to doubt Duffy's honesty. In 2010 as students occupied management offices against 115 proposed redundancies, Duffy perjured himself in the High Court claiming he was being 'held hostage'. Riot police arrived, attacked students and intimidated the occupation into ending. No charges for hostage-taking - or anything else - were pursued. Students produced a dossier detailing management's lies. 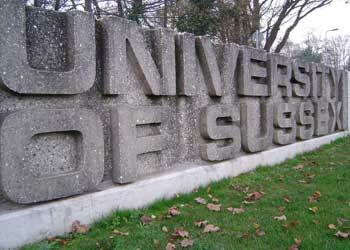 The University of Sussex has a history of student-staff militancy dating back to the 1970s. In more recent times, 2006 saw a student occupation against privatisation, support staff struck in 2008, and in 2010 students defied a high court injunction to occupy, joined by university staff from cleaners and porters to IT staff and lecturers. 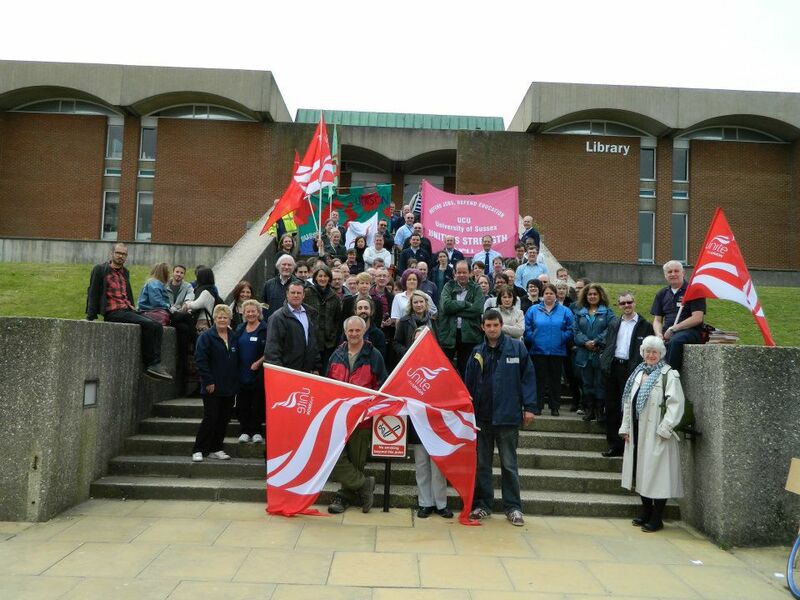 Staff in UCU have also been striking over pensions recently, as well as carrying out an overtime ban. Workers and students will meet tomorrow (Thursday 17 May) at 1pm in Arts A2 to discuss the response. The meeting is organised by all campus unions and supported by the Students Union. It is open to all staff and students, whether or not they are union members. If we all called in sick tomorrow, the university would shut down. We need to talk about how to stop this [outsourcing] happening. Good stuff. And good luck to the workers opposing this. By the way, it's not "effected" it's "affected". "Effected" means something quite different! This is a statement written by Staff and Students of the Essex EAN in response to the University consultation on privatising the International Academy. Please share and hope that activists from both Essex and Sussex can get in contact to force back sweeping privatisation at our Universities. And of course, 10 per cent of the workforce is only the start. The thin end of the wedge, so to speak. More privatization will follow later. It's just the beginning of the attack on the workers.